Collaboration, Learning, Knowledge Management, etc. Digital engagement with customers and partners on all channels is not optional, and maintaining a website is not enough anymore. But businesses that ensure their organization and processes are ready to meet new digital challenges, those that respond to their customers’ need for simplifed, cross-channel e-commerce and deeply integrated self-service processes, will turn the digital threat into advantages over their competitors. Learning from digital pure players provides fundamental lessons and key insights that can be adopted to transform enterprises into digital leaders. Learning how progressive organizations use mobile technologies for computing and communication helps enterprises to invent new markets with new business opportunities, improve sales and service quality, reduce support costs and improve internal communication and eliminate expense leaks. Enterprises in which the C-level management understands the potential of the Digital Revolution and how to beneft from mobile computing and mobile communication are those that are likely to be most successful. accentis helps your enterprise to set up a leading Enterprise Mobility Strategy which ensures your mobile success. We support our customers to invent leading-edge mobile computing and mobile communication solutions, both to reduce costs and to deliver growth. Highly complex international transformation projects are dependent on the people and the methods being utilized. An optimal control and an effcient implementation of projects are widely determined by the agreed approach of the project team. accentis provides the business consultants, transformation consultants and the IT-architects who know your specifc success factors. Over many years they have gathered a broad experience in international projects and can create a conceptual design of nationally and internationally harmonized systems architectures. accentis offers you a completely new dimension of project implementation and control, all the way from the strategy and target defnition down to the tailored system transaction, using a concept which is based on methodologies for complex business transformation projects. The integrated and pragmatic approach of the active transformation methodology accelerates the enterprise transformation remarkably. At the same time, it stands for a high consulting quality and a reduced budget in comparison to conventional project methodologies. accentis guarantees a project transparency which you have never encountered before and the permanent traceability of project targets and controls. Consequent focus on project targets, combined with high professionalism in the project management, often enables the client to reach an amortization of the project cost during its run time. The integration of strategy processes and implementation is a major challenge for all projects. Many projects fail in the face of this challenge, or don’t bring the expected results, because people from the strategic and implementation levels aren’t speaking the same language. With the Active Transformation® Methodology, complex transformation projects will be implemented effciently and successfully. Strategy development, process design and implementation will be parallelized; hence, overall project run times will be signifcantly reduced. accentis operates with a stringent and proven methodology which covers and integrates all project levels and phases. This paves the way for a seamless transformation from strategy defnition to process modelling and concluding implementation. Companies today face an ever-changing landscape of global challenges, industry trends and internal challenges. The accentis business interaction service model helps you to anticipate industry trends to deliver the best strategic outcomes. accentis Management Consulting shows you the way to extend sales, reduce costs and improve your organization. Finding the right business model – the purest expression of how a company creates value – plays a great role in determining who wins and who loses in today’s economy. Our business interaction service model supports you in anticipating industry trends and creating business models to solve internal tensions and respond to market opportunities. We will show you the way to manage the challenges! Successful companies around the globe are aware of what’s at stake. They continuously invest in customer retention programs, as well as making themselves attractive to other consumers who are leaving their current providers in search of better service alternatives. Our experience shows that instead of acting, many clients are still “browsing the possibilities,” which goes hand in hand with consumer switching. Some may be trying hard to capture some of those opportunities, but are focused mainly on “doing things better” which often means giving old procedures a face-lift. Today’s digitally empowered customers are demanding satisfaction and interactive enjoyment during their online journey. They know that today’s technology enables improved service and they become frustrated when things don’t meet up to their expectations. Traditional models for sales service are rapidly losing relevance for the “nonstop” customer, and companies have to invent new solutions for them. Explosive growth in the number of connected devices and innovative mobile, web and social media applications have created a new, omnichannel environment that has changed the patterns of customers’ behavior and interaction. Almost overnight, technology has created a new type of consumer that accentis calls the “digital client”. The digital client neither shops for products nor seeks special services. accentis Strategy operates at the interaction between business and technology. The continuously advancing Technology is transforming every organization and is challenging Customers to enable the right strategy to take benefits from new possibilities and opportunities. Whether it’s business strategy, technology strategy or operations strategy, we drive value, shape new businesses and design operating models for the future. Reactive business model from the past do not support the today´s need of speed, agility and data trust. This lack of information leaves you in a reactive position, placing you at a competitive disadvantage and restraining your ability to take advantage of new opportunities quickly or roll-out new sales initiatives effectively. accentis is specialized in defining a comprehensive business intelligence strategy, developing KPI´s and related reports. Based on the ascertained information, accentis will give you recommendations to improve figures and results by optimizing business activities. SAP applications and related SAP systems place particular demands on your change management system and on specific solutions for the business units involved in the process of change, as well as on developers, project managers, quality assurance professionals, and decision makers in the business departments. Their project responsibilities include carrying out changes to SAP applications, testing and finally deploying new functionality. If you are interested in SAP consultancy, optimization or maintenance, you have come to the right place! Or, if you want to keep up with the latest SAP technology for your industry, be sure to follow our blog. SAP is at the heart of our business in everything we do. Today’s massive technology business interaction has implications for all business and IT leaders. That is why executives need to consider a new form of IT — agile but nonetheless structured and practical transformation strategies that cover business and technology to address the demands of a digital world. Technology Strategy helps business leaders to transform business needs and deploy IT to gain the most value, guiding a technological revolution and positioning the IT organization and the business for the future. Bringing together processes, business and IT perspectives is the goal for Management leaders. accentis assists your organization in evaluating technology opportunities and developing holistic, integrated technology strategies and plans that address the needs of the whole enterprise. Our Active Transformation roadmap creates a flexible and actionable agile guideline through technology, processes and operations to design a valuable business IT landscape. SAP HANA is a modern platform for real-time analytics and applications. It enables organizations to analyze business operations based on a large volume and variety of detailed data in real time, literally at the speed of thought, from a human perspective. Initial deployments of SAP applications on SAP HANA have shown that business users can act on sub-seconds system response times, which opens the door to application possibilities that may not yet have been imagined. and their implementation in the company, at all levels of the organization. strategic products and value added services. of IT programs, combining classic and agile management disciplines. For more information on how the accentis unique solutions & Products can help your company to achieve customer satisfaction and profitability: please send us an Email to office@accentis.net to arrange a personal meeting. Advance your career by working @ accentis Group! We’re a multinational organization with offices in Austria, Denmark, Germany, Spain and the USA. And therefore we are different people who come together as one team for a project, get creative and deliver results. We like to learn from each other, support each other and have fun being successful. It’s all about collaboration, everyone works together to achieve a common goal – creating a benefit for our clients. We don’t just read up on the latest technology trends, we also create and influence them too. We’re also usually some of the first ones to investigate into cutting-edge technology being one step ahead. Our greatest strength is our people, which is why we place our team members’ health, safety and wellbeing among our top priorities. You should feel good in your work environment. We strive for fun, freedom, trust and a team spirit throughout the workplace. And we put a stress on Work-life balance, so the work does not stress you! Whether you’re looking to open new doors or make a big impact, we have the global scope and commitment to work-life balance, performance recognition and career flexibility to bring new meaning to what you love to do. You’re a leader in your field with extensive experience. Your career is on track, but you want to take it in a new direction. Join us and you too can tackle the global challenges for our clients while being a part of a team that values your contributions. Did we spark your interest? Do you want to learn more about us? Please send us your application to: office@accentis.net. Accentis is an international management and IT consulting firm. Accentis has been established as advisia management consulting in 2010 with offices in Germany and Spain. As part of our international strategy we have changed our name to accentis in 2013. To maintain close relationships with our clients we maintain offices in Germany, Denmark and Austria. 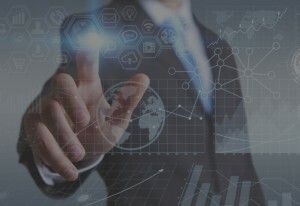 We advise clients of all industries to understand the potential to their business from the world’s digital transformation and we support our clients to implement and use digital technologies to safeguard existing markets, to expand into new markets, to advance business models as well as to optimize the client’s organization and processes for business operation, market communication and collaboration. Our strength is to integrate the various disciplines of the digital revolution and therefore to ensure an end-to-end transformation. Accentis is owned by highly skilled partners who have achieved proven success in various industries and in all disciplines of the digital business transformation. Accentis can therefore ensure feasibility and delivery of proposed solutions through all dimensions of a digital transformation, even for the most complex business transformation challenges.